I need to get my N64 back from my friend so I can play SM64. Or try and find Yoshi's Island for my SNES ugh.. Working on getting the SB64 Ladder Updated. Hello! I was wondering if "Low Tier City 4" Smash WiiU Singles had been submitted to rankings because I tried to submit it and it said someone had already submitted the link. If so, do you mind pointing me in the right direction? I like your sig. Where is the source material from? I like seeing SFM animations of Overwatch characters. Don't know the source unfortunately. It was posted on Reddit close to launch. And I agree, it's pretty cool! Thats an adorable Miku pic. 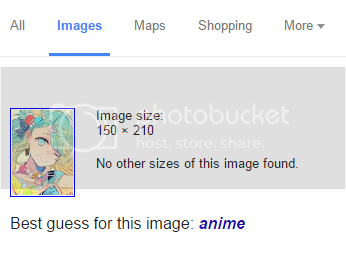 But yeah, that partially explains why reverse image search didn't work. Pretty far, already beat the 5 Lords. Hey there Locuan long time no talk how have you been man? Puerto Rico will soon lose any semblance of sovereignty. but change have to happen. Hi two of my brackets got scraplogged when I don't think they should have been. Can you please correct this? Just to be clear in one of the brackets the top 2 teams split first place due to time constraints. Once that has been taken care of we can approve the brackets. When I tried to UL XenoOne singles bracket, i filled everything out, it errored, and then would not let me re upload cause it said it was already uploaded. What do i need to do to fix this? once this is sorted then i can UL XenoTwo. Thanks! Oh, in other words, the bracket was scrap logged. Just work with that one. You need to add claims to tie results to people's Smashboards accounts as well as indicate some of the character usage. Keep in mind that the participants can also do this for their own results. Can i do anything to make it count towards the ranking? Lol how can I still post on comments if im banned??? So I actually finished XIII. FFXIII, I tried. But I can't. 40+ hours in but I can't. I don't recommend this game to anyone. I'm playing XIII, primarily because I wanted to see if was as terrible as people make it out to be. Conclusion, it's bad but it could be worse (gameplay). Once I reached the overworld I just thought, "This is how the game could have been good from the start." FFIX was next on my list from VI, but it hasn't been released on steam yet. Well, VI has been called a terrible port by a lot of people and that's the version of the game I played and I loved it. Although with VI the complains were mostly about the sprites, which I for one enjoyed but eh. But anyways, playing the Final Fantasy games has been great. It feels like I'm rediscovering gaming. If you were to get a PS console, I'd recommend a unused or slightly used PS3 with backwards compatibility (older models). You'd be able to get FFIV- FFX and the FFXIII trilogy from the PS store, and play FFXII with a PS2 copy. Done with FF6. Pains me to say it but at this point I think it trumps FF7 in my view. Now let's see how the others stack up once I play them. I'm a little late, whoops. Smash 64 Results for Genesis 3 in progress. Hi, random question, but how long have you been an admin? I've only known 3 lol. You are all like ninjas that operate in the shadows xD. Hope this odesn't sound to weird. Ah cool! I didn't really go in the sub forums to much when I started last year. I stick around to the nintendozone mostly haha. Yup, the website is vast! Nice to meet you though. I should visit the Nintenzone one of these days. I really like that avatar! I wanted to find one like the cat one but without the cat ears. Couldn't find one unfortunately. That Tatsumaki avatar, love it. Playing FF7 for the first time. Stealing Shaya's avatar? I'm on to you.